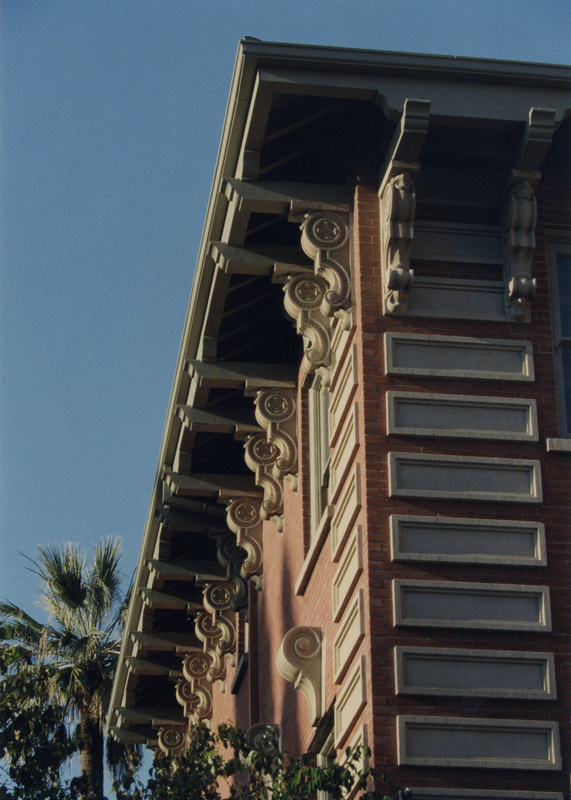 The structure was badly damaged during the 1994 Northridge earthquake when the decorative pre-cast concrete stones above the main entry at the third floor gable came loose and fell in mass upon the stairs below. The building was quickly tagged for a complete seismic upgrade. The seismic work began three years later and was completed successfully. However, the low bid general contractor appeared to have had little experience in historic restoration. When it came to recreating and installing the damaged gable stones, they ran into trouble. The new stones, as set in the wall, bore little resemblance to the originals. The County of Los Angeles stepped in at that point and took over the restoration work. California Restoration & Waterproofing, The California Restoration Specialist TM, was called in by the County to remove the offending stones, replicate new stones, and complete their installation. • Teamed with historic architect and sculptor to create a beautifully detailed model in clay, followed by a life-sized model in Styrofoam of the original Beaux Art gable end stones. • Molded and cast new stones in concrete giving special attention to their color and texture. • Created the mechanical mounting details of the heavy stones. • Mounted and fit new stones over main entrance to parapet gable. • Cleaned all brick and stone exterior. • Repointed damaged mortar joints. • Cast new concrete sills and lintels in place (matching the adjacent surviving originals in color, contour, and sand texture). 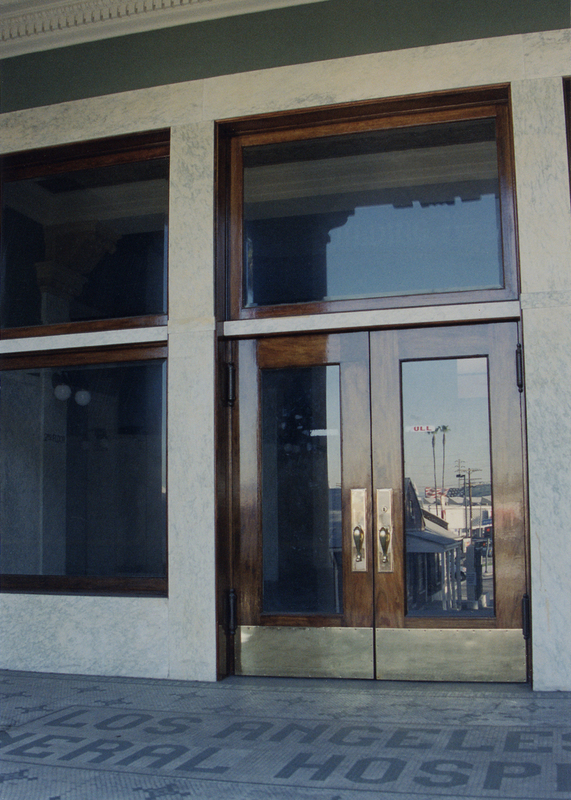 • Repaired the front entry stairs where the gable stones had landed on the morning of the ’94 earthquake. The restoration of the solid oak, double-hung windows, which stand 10 feet tall, presented several problems. Some windows were falling apart, others were rotted, and still others had been modified for air conditioners. All had been painted shut and suffered from broken weight chains and missing hardware. • Disassemble all windows, catalogue all parts, and have the lead paint stripped. • New pieces and moldings were milled to exactly match the existing. The new pieces were incorporated only where the originals could not be saved. • All interior window and casing surfaces were returned to their original stained and varnished appearance. • Air conditioners were removed and new window sash were replicated. • The exterior window surfaces were painted to match what was believed to be the historic colors. This three-story steel, concrete, and brick administration building was designed in 1909 by the architectural team of Frank Hudson and William Munsell. 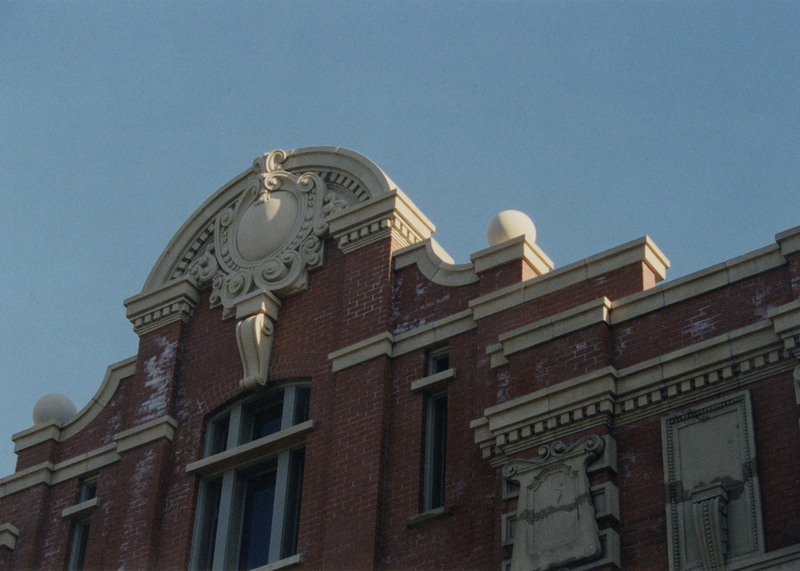 The style of the Old Hospital Administration Building has been described as transitional neoclassical in the Beaux Art style. Hudson and Munsell are also known for the L.A. County Hall of Records, 1907, now demolished.